(!) 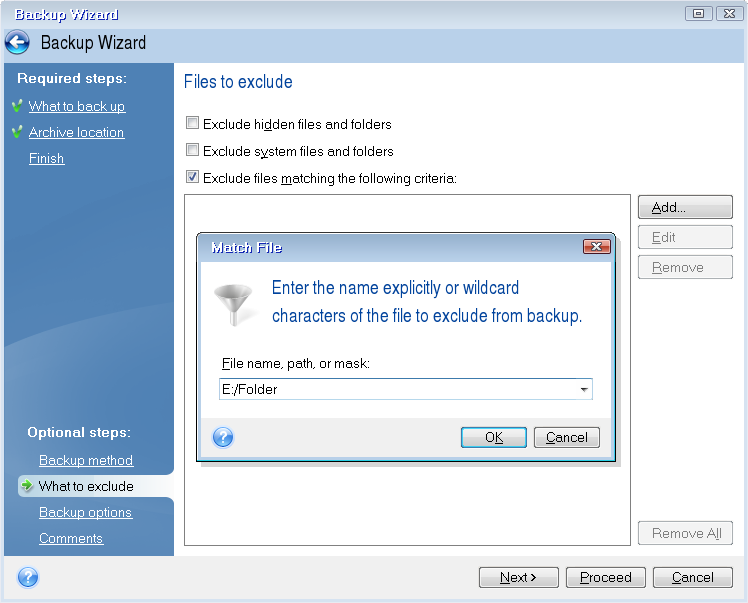 This has been fixed in Acronis True Image Home 2010 Build 7154. See Installation of the latest update of an Acronis product. 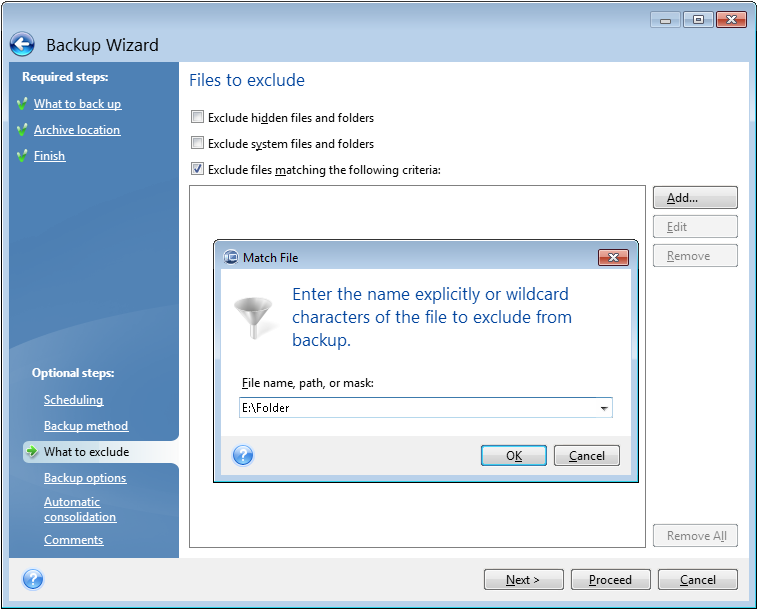 In Acronis Bootable Media of Acronis True Image Home 2010 Build 7154 or higher file/folder exclusion is provided with a backslash.